The Boston Flute Academy is located at the Maliotis Cultural Center, on the Hellenic College/Holy Cross campus in Brookline, Massachusetts. BFA masterclasses, workshops, seminars, beginner classes, studio classes, mixed chamber groups, adult flute ensembles, and recitals will take place here during each school year. With its distinct history and excellent location, this beautiful facility is an ideal home for the BFA! In addition to being handicap accessible, a free parking lot is available! The Maliotis Cultural Center building is a two-level structure with an exterior clad with panels of white marble from Mt. Penteli (the materials from which the Parthenon was constructed), northeast of Athens. The Center’s interior includes a 357-seat theater, two 75-seat lecture areas, a 3,250 square-foot exhibit and function hall, three meeting rooms, and a complex of administrative offices. 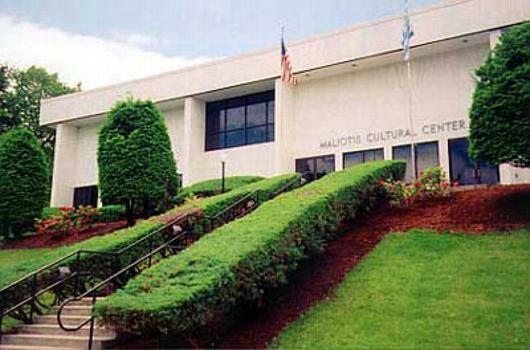 Directions, Hellenic College campus map, and parking info for the Maliotis Cultural Center can be found here.